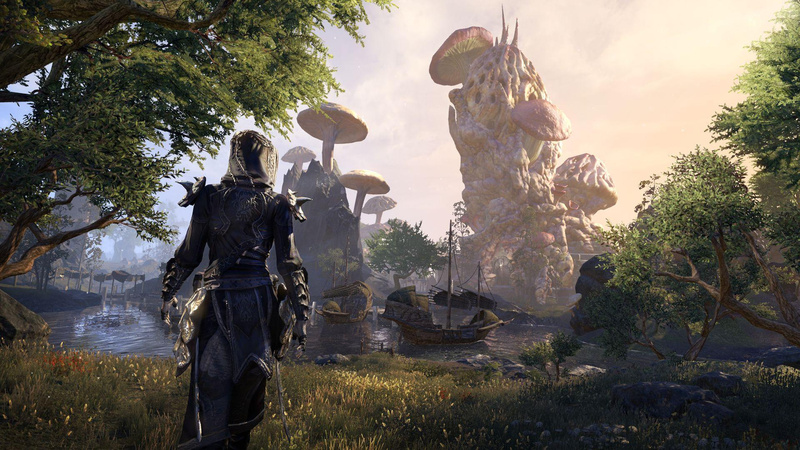 Ever wanted to give The Elder Scrolls Online a try without spending a penny? Bethesda has your back. The publisher has announced that, as part of its QuakeCon celebrations, the MMO will be made available to all free of charge for the next six days. This starts today -- Thursday 9th August -- at 10am EST / 7am PDT / 3pm BST. The free event will go on until Wednesday 15th August at 10am EST / 7am PDT / 3pm BST. Included is the Elder Scrolls Online base game in its entirety, as well as the Vvardenfell area, which should keep you very busy during the six day period. If you already own the main game but haven't purchased Vvardenfell, you'll be able to access this expansion for free as well. And don't fret about PlayStation Plus either - you won't need a subscription to Sony's service to take part. 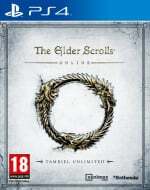 This ties in with the US PlayStation Store's current QuakeCon sale, which includes Elder Scrolls Online content, so if you like what you play, it's available at a reduced price. This is a great opportunity to give the RPG a shot, as we feel it's an underappreciated experience on PS4. Will you be sampling Elder Scrolls Online during Quake-Con? Accept the quest in the comments below. With the download being huge I don't think I have the room for it. I had to create space just for Mafia 3. It's for the best really because I probably would have done the same as the last time there was a free trial, played it for a good several hours, thought it was a bit wack and promptly deleted it again. I'd recommend this to anyone who can be arsed downloading 100GB! May give this a little go, thanks. Hecks yeah, free stuff! Can't seem to find it anywhere on the store, though. Is it on the collections game page? Not sure if I've tried this one before or not, reminds me of FF14 which I've tried to play a few times but can never get past the sign in. Not downloading 100GB though, as someone above already said, still need to make room for Mafia 3s 50GB. I think it'll probably take most people those 6 days just to download it! @fisher Base game is about that I think. Add the many, many updates and it all adds up to 101GB. That includes expansions which are also added as updates. @ShogunRok what would be the point in that, by the time you download all that, the time would be up before you can actually play it. you are going to need a super fast connection to be able to download and take advantage of this free trial. 6 days should be just long enough to meet another player who isn't a bot. I would like to play but it’s so weird that they didn’t release it in japan except for steam. It even has Japanese localization as far as i know.